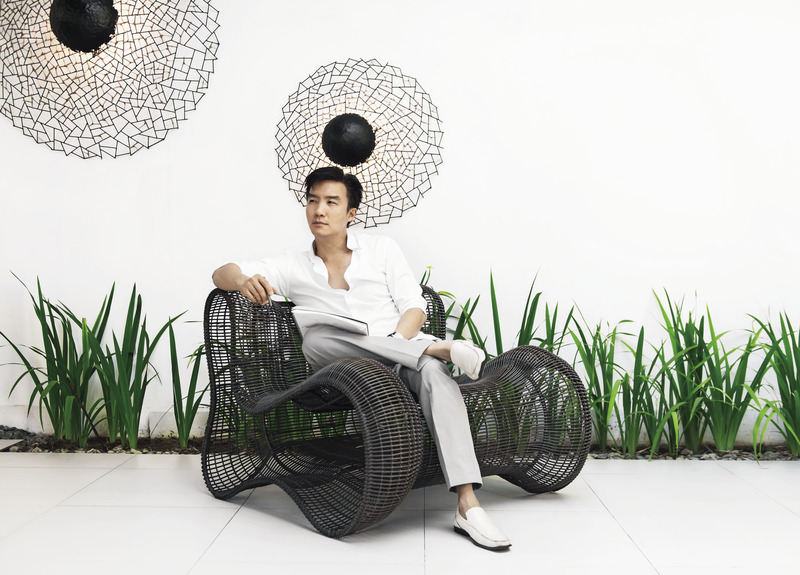 Kenneth Cobonpue’s passion for creative design started at an early age. Even as a five-year-old kid, he already used to stay at his family’s backyard furniture factory, playing and designing things using various materials. This eventually grew to an interest in the furniture industry. And so, he and his mother started attending furniture fairs around the globe. Following his father’s request, he took up Business at the University of the Philippines (UP). But, since his passion was really in designing, he shifted to Fine Arts. However, though his heart was into studying Fine Arts, he was not accepted at UP. He then enrolled in an Industrial Design course in Germany, where he stayed and learned about furniture designing. He then took over his family’s furniture business in 1996. And unlike other family businesses in the Philippines, he insisted on selling his creations and designs under his name, instead of their family’s. He didn’t pattern his business on what his mother and other local furniture owners did—selling their creations to known companies abroad, rebranding the products. “At least 90 percent of furniture makers in the Philippines still get sold under different names. It’s like we are a factory,” Cobonpue said to Entrepreneur. Designer Cobonpue became known because of the uniqueness of his designs. 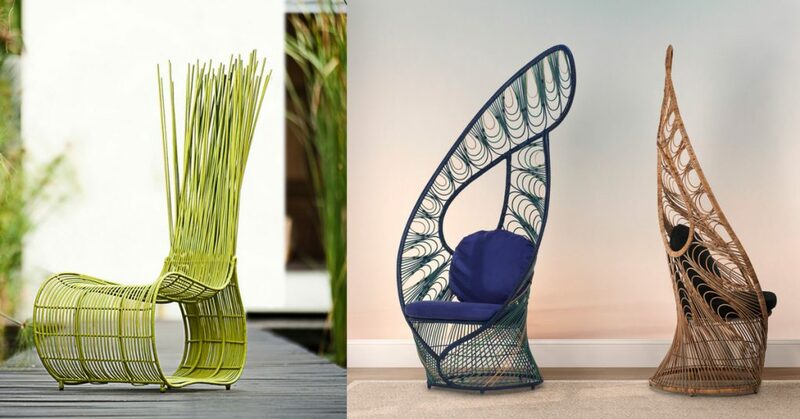 He used bamboo, rattan, and abaca—materials which are native to the Philippines—in making his famous creations. He integrated natural materials through innovative handmade production processes. His furniture is drafted or bent in different ways, creating creative and remarkable furniture designs. But his determination eventually paid off. His works made him get some of the biggest awards like the grand prize at the Singapore International Design Competition, the French Coup de Coeur award, the Design for Asia Award of Hong Kong, and the American Society of Interior Design Top Pick selection. A few years ago, Cobonpue gained worldwide attention when Hollywood star Brad Pitt purchased one of his Voyager beds which is made from abaca and palm leaf spines. He has made the world notice Filipinos’ talent and craftsmanship. 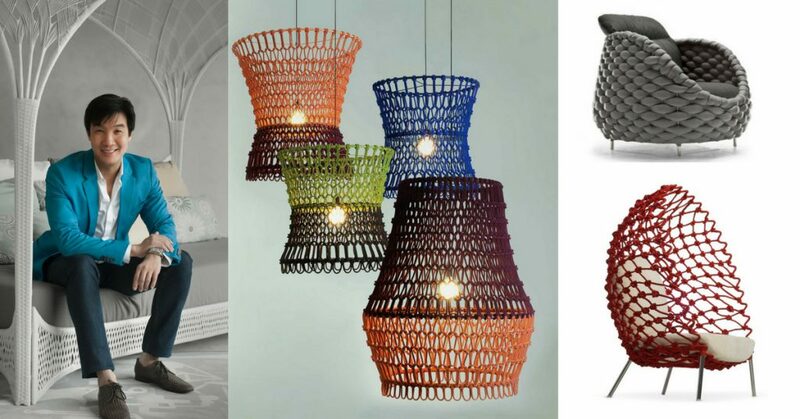 “What I do is always a testament to Filipino craftsmanship. Not many young people do it now, but this is a tradition that we should be proud of. This is something passed on from one generation to another,” he said to Rappler. It was around this time that one of his creations was used in Maroon 5’s hit music video Never Gonna Leave This Bed. “This is the first thing I learned in design: the world doesn’t need another chair unless you make it truly unique. So in everything I do, I always do something different,” Cobonpue said in a talk before youth and student entrepreneurs at the University of Asia and the Pacific. He also said that creativity can come from even simple things. “There’s really no monopoly when it comes to inspiration. I can be inspired by anything, (even something) as mundane as bread… or cracks on the wall,” he shared to Rappler. His passion for making furniture designs that will uplift the name of the Filipinos is remarkable in the way he performs and talks. He never stops creating products that will make his customers be in awe.